Finding basketball apparel that impresses your players is difficult. After all, basketball team uniforms and shoes change styles year after year. If you don’t keep track of the trends in basketball apparel, you will miss out on purchasing the most stylish gear for your players. Moreover, and perhaps more importantly to their play on the court, basketball uniforms and shoes have new features every year that make your players feel like they can run faster, jump higher, and move more freely on the court. The mental boost that this gives your players is significant and should not be ignored. 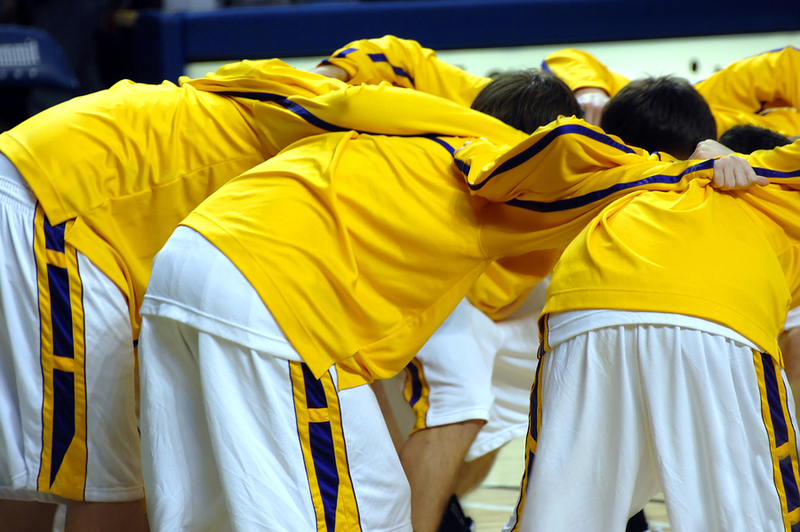 Below are described the top three trends for team basketball uniforms and shoes that you should be keeping an eye on. 1. Basketball uniforms are lighter than ever. Thanks to improved technology, basketball uniform manufacturers are making their jerseys considerably lighter to manage moisture more effectively than previous models. For example, Adidas utilizes its Climacool and Climalite technology in its men’s and women’s uniforms in order to provide players with the least possible resistance while they’re on the court. The use of breathable mesh allows air to flow through the uniforms, keeping players cooler during games and practices. 2. Basketball shoe technology improvements. Like uniforms, basketball shoes are produced to be lighter and lighter over the years. Manufacturers have been able to reduce the weight of basketball shoes without sacrificing shoes’ stability. This is critical because a turned ankle can mean the end of your team’s championship hopes; playing in flimsy shoes means risking your season. Adidas has been able to achieve a balance between lightness and stability with its basketball shoes. For instance, the AdiPure Crazyquick is just 11.2 ounces but has a new heel notch design that allows for an increased range of motion during sudden movements while preserving the heel’s fit. Additionally, the upper part of the shoe is designed for basketball-specific movement. The shoe stretches as a player cuts, shuffles, and runs around the court. Basically, the shoe allows your players to move quicker and more fluidly. 3. Basketball uniforms and shoes are brighter than ever. Your adoption of this last trend is entirely based on your school’s colors and, perhaps, its willingness to slightly stray from its traditional colors in favor of a more modern, bright look. More and more college teams have begun wearing bright shoes and uniforms, and your players may want to copy them.